Hedgewick’s World of Wonders was once the greatest theme park in the galaxy, but it’s now the dilapidated home to a shabby showman, a chess-playing dwarf and a dysfunctional army platoon. When the Doctor, Clara, Artie and Angie arrive, the last thing they expect is the re-emergence of one of the Doctor’s oldest foes. The Cybermen are back. The story begins with The Doctor taking Clara and her two wards to Hedgewick’s World of Wonders. Unfortunately, the Time Lord gets the date a bit wrong and they end up seeing the wonderful world in a state of disrepair. The gang soon meet Webley (James Watkins), the owner of the establishment, who is hiding from a group of soldiers. After some showing round, Webley presents his main attraction; a chess playing Cyberman operated by Porridge (Warwick Davis). After some more walking about and talking, the Cybermen start appearing. With new polished faces, they zoom at the humans. The whole things look kind of like a road runner sketch. I’m amazed that the Cyberman doesn’t say “Beep, Beep”. 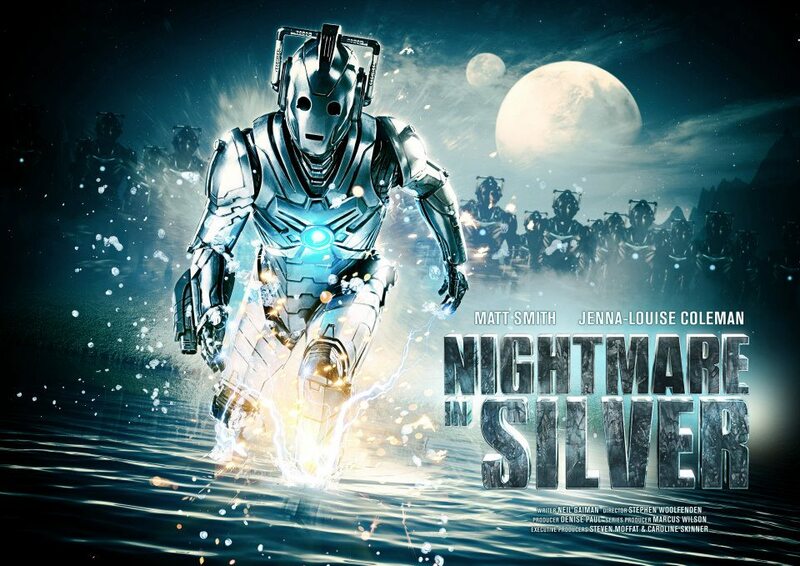 The Doctor goes after the Cybermen while Clara takes charge of the soldiers (Since when did Clara have more experience that the Captain? Surely it would be more logical to let the better trained person deal with the whole affair instead of letting someone who has never been in a battle situation take over.) and orders them up the castle complex. The Doctor arrives in The Cybermen’s lair. After meeting the now Cybernized Webley, the Time lord is infected with The Cyber Planner bug. Weird banter begins between the two concisenesses. After some more explosions and fighting The Doctor manages to get to the castle bringing Webley and the two kids. The Doctor battles The Cyber Planner using a game of chess and eventually wins. After that, Porridge reveals he is the missing Emperor mentioned earlier on in the story. They teleport to his spaceship and the planet is destroyed with all the Cybermen on it. Matt Smith realistically brings to life both the incumbent Time Lord and the dastardly Cyber Planner. It is great to see Smith show his versatility and brings across a certain menace to the role. His use of accents is great as well, going from a funny impression of Eccleston’s gruff northern voice to Tennant’s cockney accent. The story has a slow first part, but then manages to pick up before the end. Sure the story has its loose ends and weird moments but it is still enjoyable enough. The chess games and CGI Cybermen are excellently shown and as I have said before Smith’s acting is good. However, as the series has progressed, I get the feeling that this has been an on and off series. Bad episodes, okay episodes and one very good episode (ie Hide). Hopefully the next story should prove me wrong.